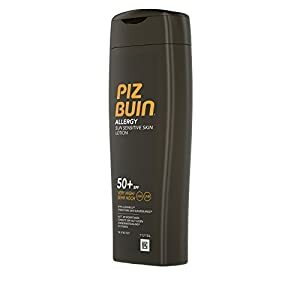 PIZ BUIN Allergy Lotion for Sun Sensitive Skin SPF50+ - 200ml / 6.8 oz. 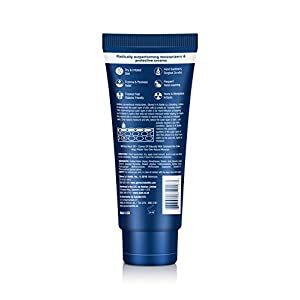 PIZ BUIN® Allergy Sun Lotion SPF50+ - 200ml / 6.8 oz. 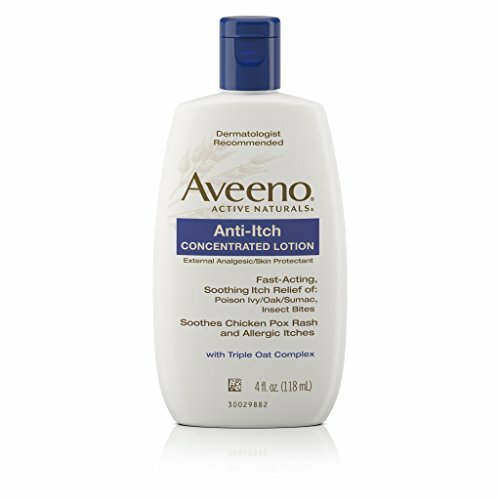 It soothes sun sensitive skin and helps prevent your skin from peeling. 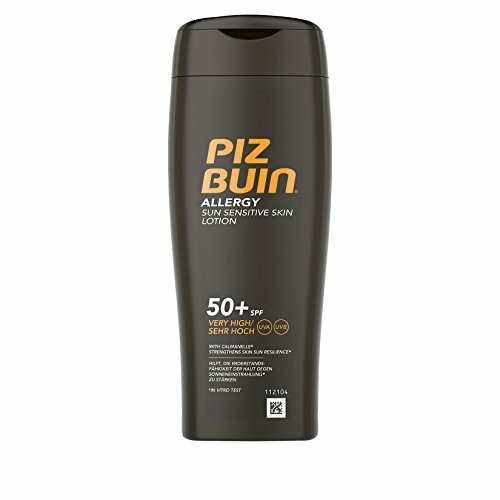 All PIZ BUIN® Allergy Lotions are water resistant. 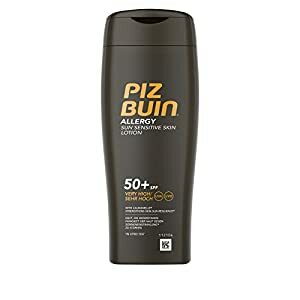 PIZ BUIN® Allergy Sun Lotion Benefits: The lotion is especially developed for sun sensitive skin, it absorbs quickly and provides hours of moisturisation. It soothes sun sensitive skin and helps prevent your skin from peeling. 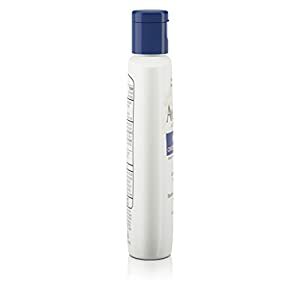 All PIZ BUIN® Allergy Lotions are water resistant. Available as: SPF 15, SPF 30, SPF 50+ Directions: Apply generously before sun exposure. 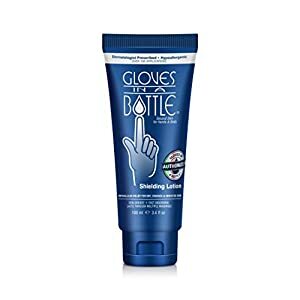 Fully body application = 3 tablespoons. Reducing the quantity lowers the level of protection significantly. Reapply frequently, especially after sweating, swimming or towelling. Avoid midday sun.